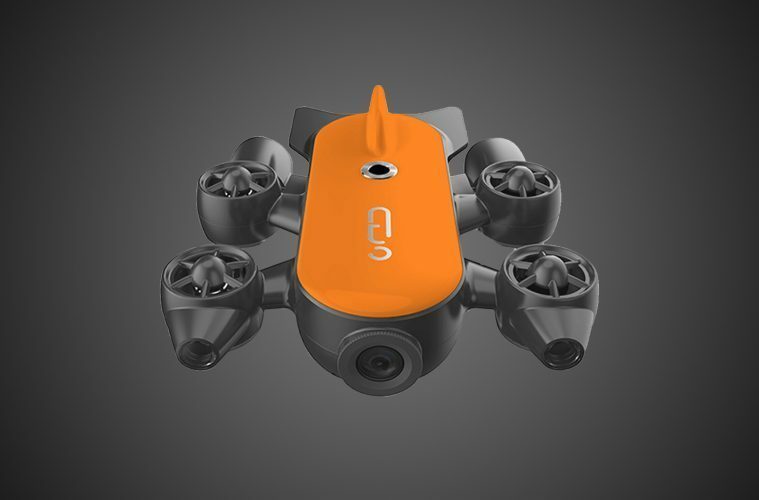 We love a Kickstarter project here at Van Clan, and we also get over excited when we start talking about drones. So imagine the party that we threw at Van Clan HQ when we discovered the Titan Underwater Drone, one of the hottest new gadgets to hit the adventure world. Capable of working up to 150m (492 ft) below the waves and with an incredible 4k UHD camera, Titan makes deep sea James Bond adventures a reality. Apart from possibly being the coolest looking gadget ever, the Titan Underwater Drone has some incredible stats and figures that back up it’s awesome appearance. With a 4k camera and 1080p live video feed you can check for the best fishing locations or stream the discovery of a new sea monster right from your tablet or phone. 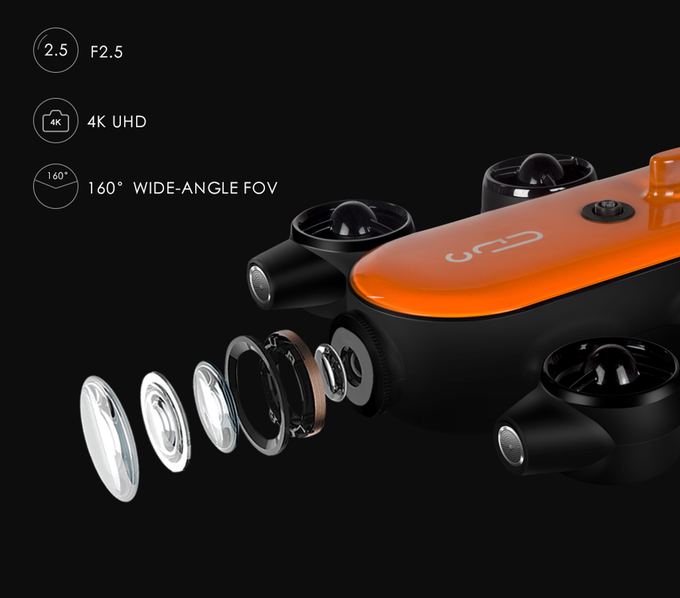 The camera itself features a 160° ultra-wide angle lens (we’re talking wide wide WIDE angle), and has dive filters for colour correction in different types of water and depth. How does the Titan Underwater Drone work? Six powerful thrusters (anything with that many thrusters has to be awesome!) along with software power the Titan Underwater Drone and allow it to take crystal clear, smooth footage in the strongest of currents. The battery has a whopping 4 hours running time off a 2 hour charge, so you can have a serious explore before returning back to base camp / your van. A real life underwater proposal, in real time too. Now the fish monster from The Shape Of Water can chat to you any time you want! 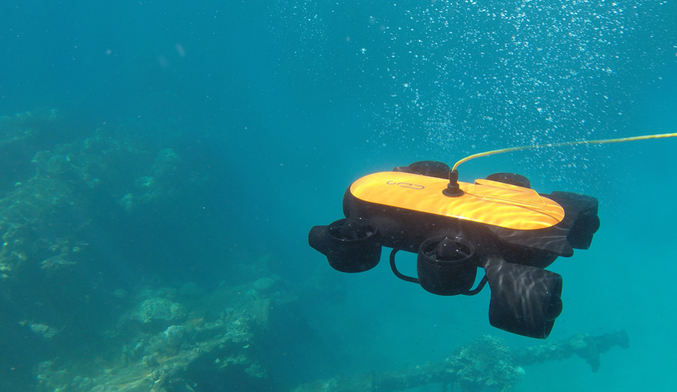 Is the Titan Underwater Drone hard to control? The Titan control interface is made like a games console, so it’s easy to use and will take you a matter of minutes to work out without having to open up a complicated manual or ring the underwater helpline (that’s a made up thing). The yellow tether that you can see attached to the drone itself stops the current from pulling your drone away, and there’s also ports for a whole heap of accessories. Even the design has won awards! This is one of the most exciting travel gear products that we’ve covered in a while now, and that’s saying something! 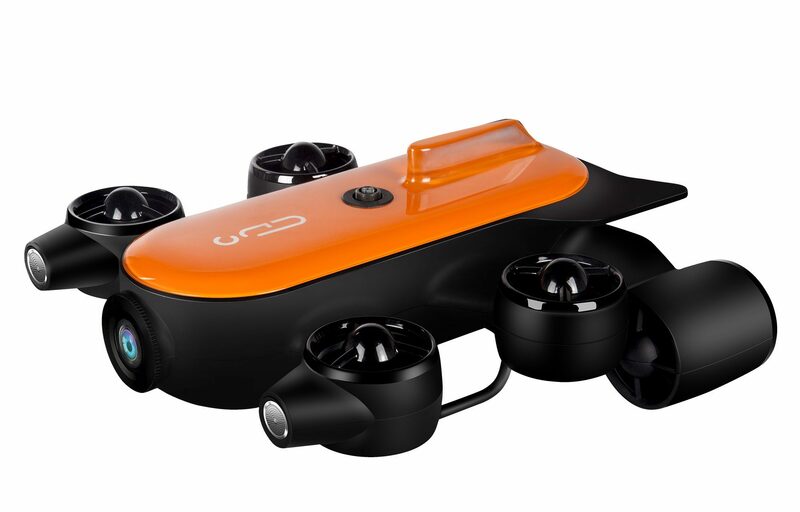 We got excited about drones that went up into the sky, and now underwater drones have brought us a whole new batch of possibilities! 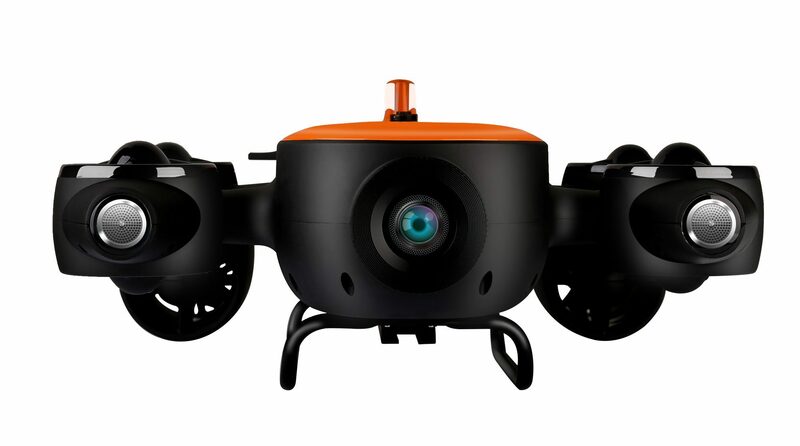 Whether you’re searching for a shipwreck, looking to salvage metal or lost treasure, or perhaps just recording your diving footage to send home to your parents, the Titan Underwater Drone should be the one bit of kit you have on your next adventure. Price wise, the Titan starter kit currently costs $1399 on Kickstarter (£1061.84), which is a saving of $1200 from the actual asking price. If we were you we’d act fast and get one at this incredible price. They’re set to ship in August, which means you could be spending a bank holiday searching for buried treasure! Not ready to hit the underwater adventure circuit just yet? Check out our Top 5 Camera Drones for some awesome aerial action.